A Foodpreneur Interview is an on-going Diva Foodies series where we proudly shine a virtual spotlight on culinary small business owners often called “Food Makers.” One of the reasons we created Diva Foodies was the passion of chefs is so inspiring that we wanted to develop a service that supported them. Along the way, we began to develop relationships with small business owners who create food/culinary products. We found them to be as passionate as our chef pals and “fell in love” with these very special Foodprenerus. This interview happens to combine both a Chef + a Foodpreneur. A few weeks ago I met the talented Charmaine Enslin, owner of Pouch Savory World of Pies at the Flavor Of Georgia finalist judging. In the food world there are not a lot of women chefs or women owned restaurants. I knew right off I wanted to highlight Charmaine, and her divalicious products (which she sells online making her, in our eyes, a foodpreneur!) on Diva Foodies. We are honored that she agreed to answer a few questions. About Flavor of Georgia. Flavor of Georgia is a unique contest sponsored by the University of Georgia College of Agricultural and Environmental Sciences. But it is more than just-another-food-contest. 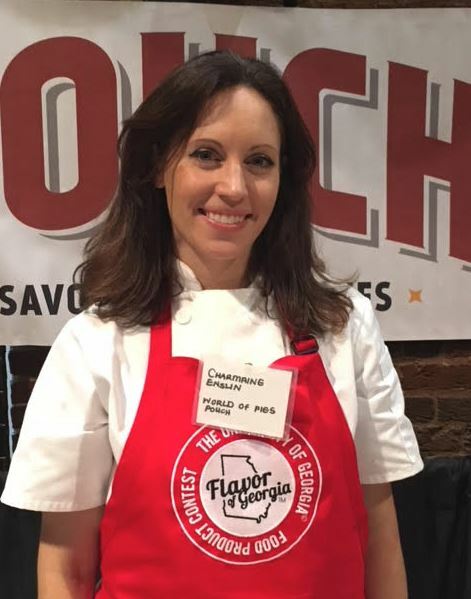 Flavor of Georgia is validation for the creative and hard work of Food Makers. The State of Georgia takes this so seriously that Governor Nathan Deal was on hand to present the award “dishes.” Yes, the awards were in the shape of a dish ~ very appropriate we’d say! I am foremost a dedicated wife and Mom of two precious young girls (age 2 and 4). In the hours between I get to be an entrepreneur and “pioneer” of Savory Pies in the USA. I find great satisfaction in growing POUCH PIES and sharing something new with our customers while getting to meet some wonderful people along the way. Diva Foodies: You’ve entered two of the most competitive occupations ~ owning a restaurant and selling a food product online. Add to that you offer a product that is unusual for many people in the U.S. – savory pies. I admire your courage and tenacity! For those who are not familiar with savory pies, please tell us a bit about them. 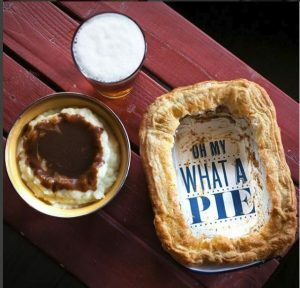 Charmaine Enslin, Pouch Savory World of Pies: Meat/Savory Pies have held a special place in history. They have been recorded as going back to ancient Egyptian times and were popular in ancient Greek and Roman times. It has also been recorded that one of George Washington’s favorite meals was a meat pie. Over time, and with the growth of sugar plantations in the US in the early 1800’s, Americans became more obsessed with making sweet pies. Today meat pies have become more synonymous with the UK and British Colonies. Growing up in South Africa, a pie is quite simply a meat pie and you can find one in almost every grocery store and gas station. It is a quick and convenient meal on-the-go and comfort food at its best! 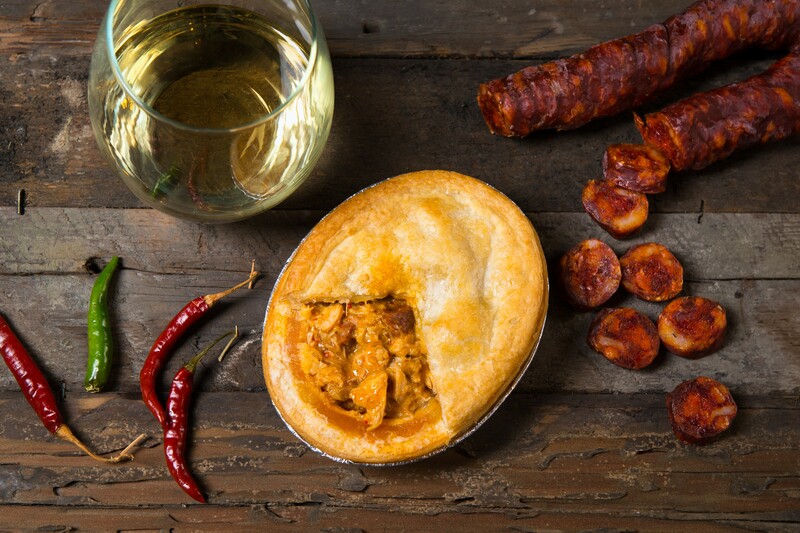 We created POUCH PIES to offer up some of the most popular savory pies from around the world, the type that transports many expats back “home” and brings warms feelings of nostalgia. 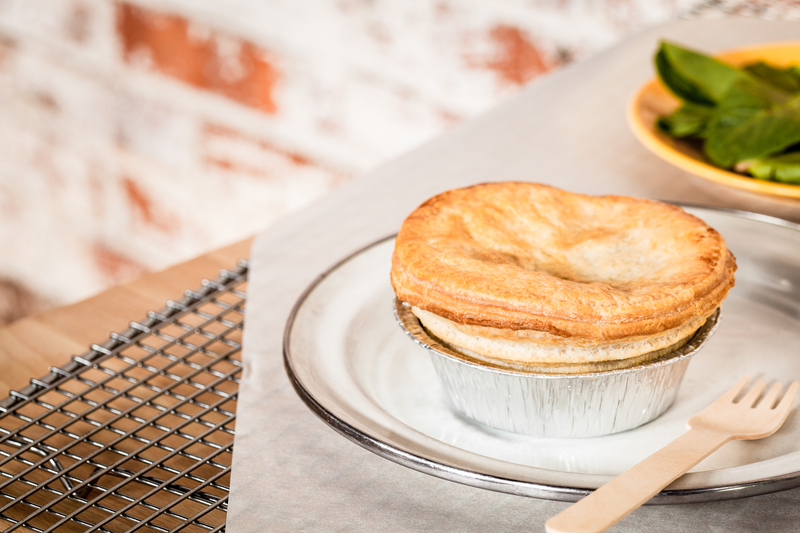 More importantly we have created some of our own exciting recipes that pushes the boundaries of the traditional Pot Pie. Diva Foodies: I especially appreciated that you often use local ingredients and products from other Food Makers. Are people surprised to learn Pouch Savory World of Pies is a women owned restaurant? Are you finding support from other women chefs and restaurant owners? Charmaine Enslin, Pouch Savory World of Pies: Having a restaurant across the street from the University of Georgia, I have to laugh at the amount of times my sister and I get asked how long we have been a server at POUCH or what we are studying at school. We don’t care much for the status or recognition of being business owners although it is empowering to be a woman in the business world. It is no joke that sometimes it takes a village, and we are very blessed to have a strong support system. Many of our wholesale customers are woman-owned businesses. I think there is a level of respect among us because we know what it takes to nurture a family and a business at the same time.Woman are strong and have a great deal of experience in the skill of multi-tasking. It makes perfect sense to me. Diva Foodies: People start businesses for many different motives but we’ve found that foodpreneurs often have their own special reasons. Why did you launch Pouch Savory World of Pies? Charmaine Enslin, Pouch Savory World of Pies: I guess there is a deep need to create and grow something that is meaningful to me and I find a lot of satisfaction in taking a concept, working through all the details and making it come alive. After moving to the U.S. 6 years ago we saw an opportunity in the pie industry and realized that there was a real gap in the market and wanted to fill that gap with a product that was delicious and different. I am driven every day by the many customers that try our product for the first time and become repeat customers and in many cases, newfound friends! Diva Foodies: What are the most popular flavors? What is Your favorite pie and why? Charmaine Enslin, Pouch Savory World of Pies: Our Pepper Steak Pie is a definite favorite (Black Angus Beef in a cracked black pepper and creamy red wine sauce, encased in a classic puff pastry). Up on the list too is our Spicy Chicken pie which has tender chicken and authentic Spanish Chorizo in a creamy white wine piri-piri sauce. My favorite has to be our Lamb Curry Pie. We butcher legs of lamb and simmer the meat in our authentic Indian Curry Sauce. It is so rich in flavor and has just the right amount of spice. Diva Foodies: Both sound divalicious! For many people food is a love. What does that mean to you? Made with love as my Mom always says. “You can tell if it’s made with love”. Your heart and soul must go into the food you serve. Too cute – even babies love Pouch Savory World of Pies! 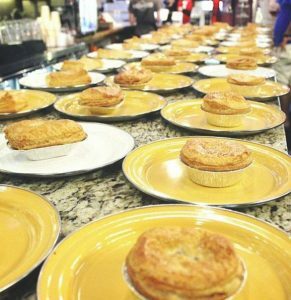 We don’t just want to sell pies, we want to make you feel like you are sitting around our dinner table and we are sharing a pie with you that was made from scratch, with all the tender time it takes to make something full of flavor and with a perfect flaky crust. 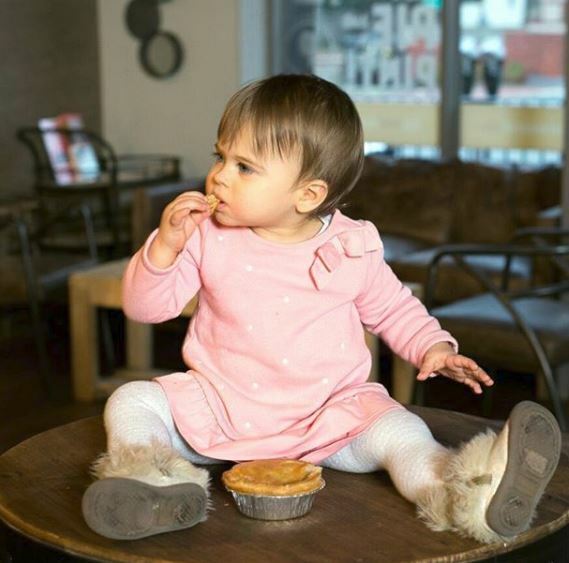 Each pie we sell has a story and a little bit of our family heritage. We love to share that experience with others! Diva Foodies: As you well know, the food business is intense; what makes your products extra, extra special? Charmaine Enslin, Pouch Savory World of Pies: We are unique, and we pay attention to the quality of our product. It is so easy to let things slide, or to find a cheaper substitute. We are our biggest critics and it keeps us producing the best tasting savory pies! Diva Foodies: What one tip would you give to a person who wants to sell a food product online? Why is this tip important to you? Charmaine Enslin, Pouch Savory World of Pies: Find a great website developer that understands e-commerce and SEO management. It is easy to build a website but the e-commerce world is highly competitive and it will take time to find the right person/company that is going to be worth your investment and has some longevity. 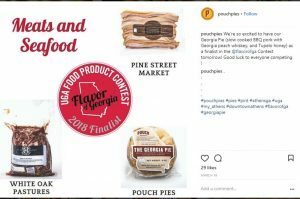 Pouch Savory World of Pies – Pie Eating Contest! Diva Foodies: And a most important question – where can people buy Pouch Savory World of Pies? 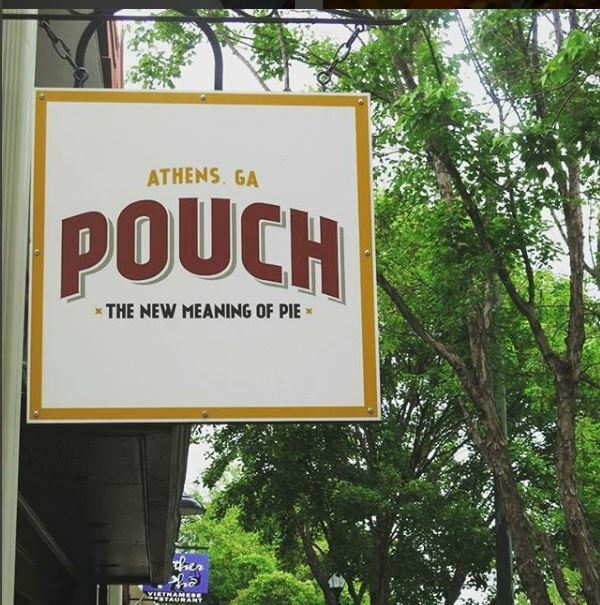 Charmaine Enslin, Pouch Savory World of Pies: Our restaurant location is 151 E Broad Street, Athens GA. We also sell online on our website and in a growing number of retail stores.